Weight...................22 Lb. Inputs...................1 Door + 2 Windows. Double layer tent with an index of "UP" are set for a few minutes. An umbrella-type design allows you to quickly set up a tent on any terrain. 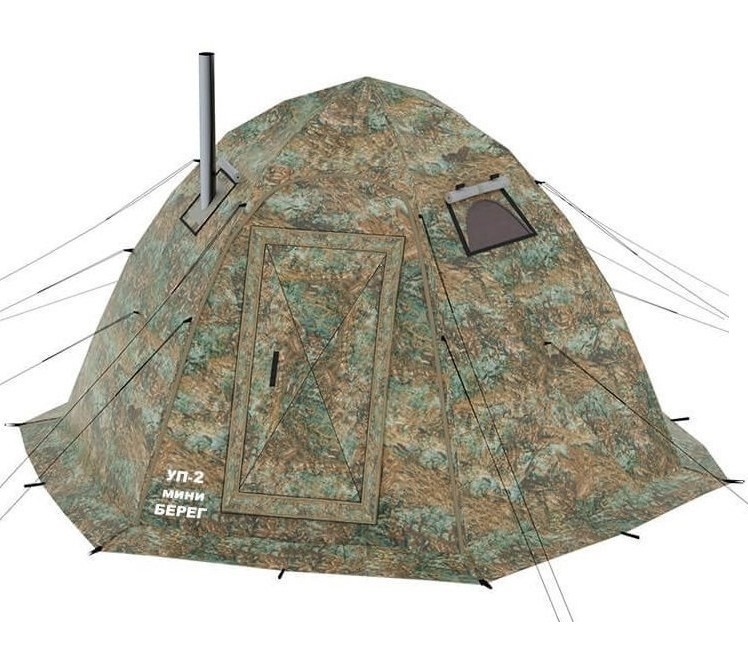 This small but spacious tent ideal for lovers of hunting, fishing and active rest in nature. It can easily fit two people for sleeping. On the doors and window have mosquito nets, which can detach and clean up after the summer season. Detachable waterproof floor zip fans will appreciate the fishing. Drilling a hole on the ice you can put the tent on it and enjoy fishing in warmth and comfort. The tent "UP" proved themselves in the harshest climatic zones of Russia!